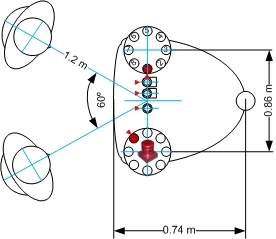 The 2012_MMA (multi microphone array) corpus is a corpus of read speech (WSJ) recorded with multiple distant microphone (arrays) enabling research in speaker localisation, (blind) speech separation and speech recognition. The 2012_MMA corpus contains speech from single and overlapping speakers, following the ideas and setup of the MC-WSJ-AV corpus . 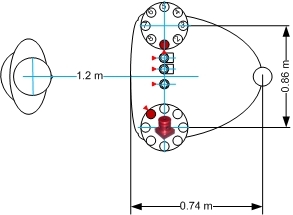 Based on the USBPAL from Rigisystems and using eight (8) Analog Devices digital MEMS microphones ADMP441 the DMMA.2 and DMMA.3 are circular microphone arrays with a diameter of 20 and 4 cm. A detailed datasheet and sound samples for the DMMA.3 are available here (DMMA.3). 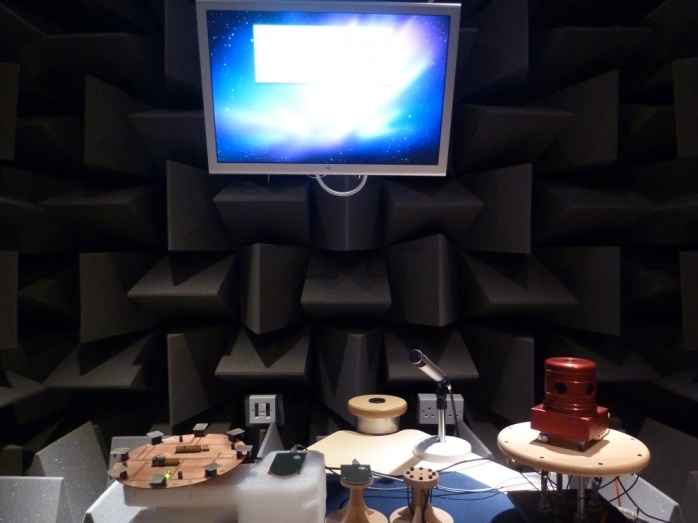 The recording setup in the IMR and hemi-anechoic chamber are identical within the constraints of the setup. 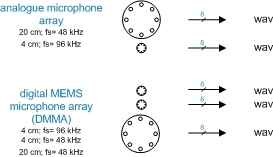 Figure 2, 3, 4 and 5 show the microphone array placement and adjustment as well as the dimension of the setup with respect to the position of the speaker(s). Note: The red triangle indicates microphone channel 1, channel numbers increase counter-clockwise (in the *.wav audio file provided). 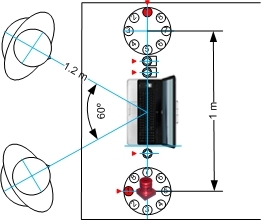 Photos of the setup are shown in Figure 6 and 7. The 2012_MMA corpus offers researchers an intermediate task between simple digit recognition and large vocabulary conversational speech recognition. It consists of sentences read from the Wall Street Journal (WSJ) taken from the test set of the WSJCAM0 database. Two same-gender speakers were paired for recording of the overlapping speech. The speakers are recorded using five different eight-channel microphone array, reading WSJ from prompts. 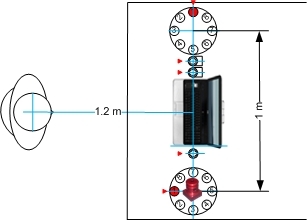 In the single speaker scenario one speaker reads from a fixed position, in the overlapping scenario two speakers read from two fixed positions. Two times twelve participants were recorded for the single scenario, two times six pairs for the overlapping scenario. 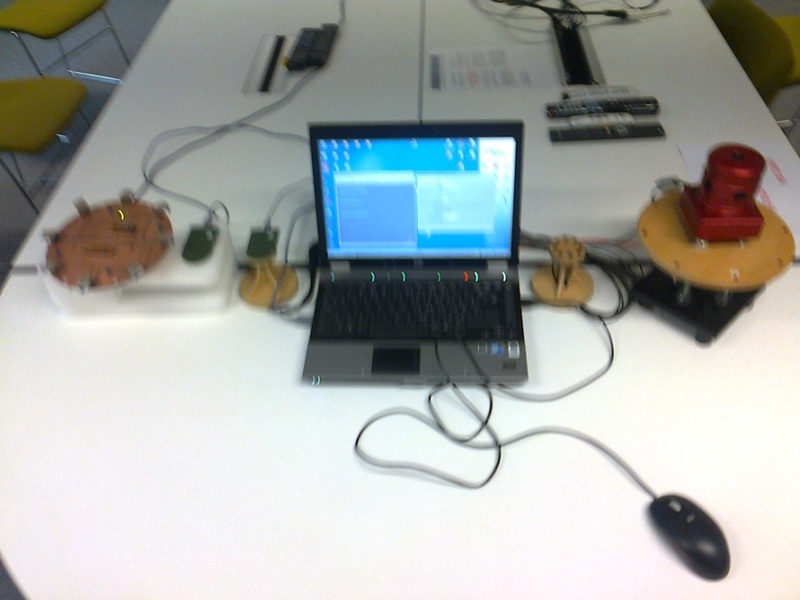 Each read about 90 sentences which are available for speech separation and recognition experiments.